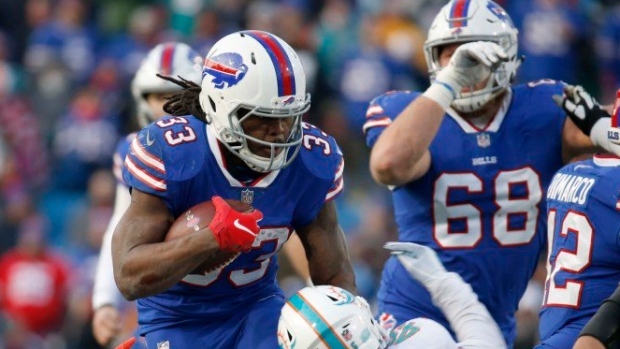 The Buffalo Bills are planning to release running back Chris Ivory on Tuesday, according to ESPN's Adam Schefter. That leaves the Bills with LeSean McCoy and off-season addition Frank Gore at running back. According to Mike Rodak, also of ESPN, the moves saves Buffalo $2.156 million in cap space. Last season was his only in Buffalo, notching 385 rush yards and one touchdown in 13 games. Prior to his time in Orchard Park, Ivory spent two seasons with the Jacksonville Jaguars, three with the New York Jets and three with the New Orleans Saints. The 31-year-old is entering his 10th NFL season out of Tiffin University.